Description: Hot Off The Press Paper Packs are full of beautiful papers for scrapbooking, card making, decoupage, tags, seasonal decorations, and so much more. Of course they are acid- and lignin-free. 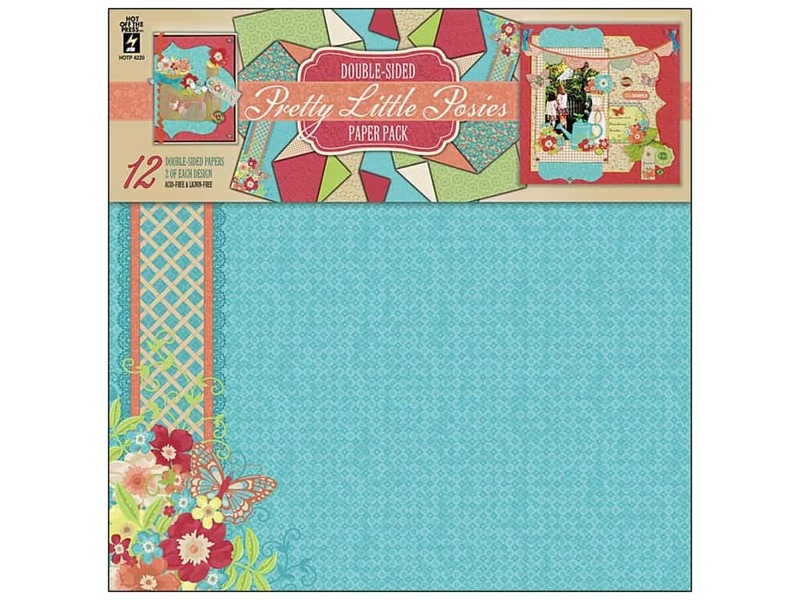 12"x 12" Pretty Little Posies- 2 sheets each of 6 double sided print papers. Designs inspired by Grandma's garden mixed with lace and swirls. Designs include flowers, lattice pattern, floral flourishes, leaves, and kaleidoscope patterns. Colors include Grass Green, Yellow, Blue, Tan, Burgundy, Pink, and Cream.